Welterweight world champions Keith “One Time” Thurman and Danny Garcia are a combined 60-0 with 41 knockouts. That’s a lot of talent. The question is, which fighter has more? We’ll find out March 4 when they square off in a title-unification bout at Barclays Center in Brooklyn (on CBS). The interested parties hosted a news conference there Wednesday. Nor surprisingly, each fighter talked down to the other. Garcia, of Philadelphia, is trained by his father, Angel, who talks about as much trash as any trainer out there. Thurman intimated he couldn’t care less about that. Thurman, 28, is 27-0 with 22 knockouts. Garcia, 28, is 33-0 with 19 knockouts. Now that Danny Garcia has dispatched Samuel Vargas – not that there was any real chance he wouldn’t – his welterweight title-unification bout with Keith “One Time” Thurman can take place March 4 as planned. (A site is still to be determined). The trash-talk has already started. Thurman was part of the Spike broadcast team for Garcia’s seventh-round stoppage of Vargas this past Saturday at Liacouras Center in Garcia’s native Philadelphia. Afterward, the two spoke inside the ring and had a few choice words for one another. Garcia, 28, is 33-0 with 19 knockouts. Thurman, 27, is from Clearwater, Fla. He is 27-0 with 22 knockouts. This should be a terrific fight. Sammy Vasquez Jr. is ranked as high as No. 8 in the world by one governing body. 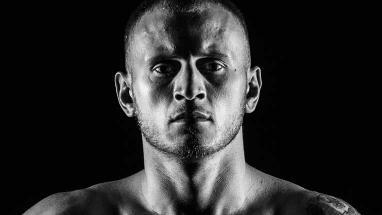 But it’s in the welterweight division, which is loaded with talent. The champions are Keith “One Time” Thurman, Danny Garcia, Kell Brook and Jesse Vargas and two of the contenders are Errol Spence Jr. and Shawn Porter. Vasquez therefore knows it won’t be easy getting to the promised land that is a world championship. Vasquez is 21-0 with 15 knockouts. He’ll take on Felix Diaz (17-1, 8 KOs) of the Dominican Republic on July 16 at Legacy Arena in Birmingham, Ala. They will tangle underneath the heavyweight title fight between Deontay Wilder and Chris Arreola (on Fox). 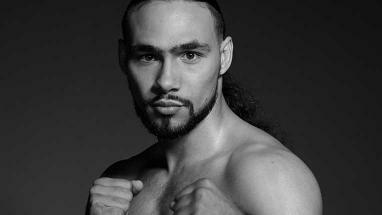 Welterweight champion Keith “One Time” Thurman on Saturday night slugged it out with challenger Shawn Porter over 12 rounds and when the grueling bout was over Thurman had retained his title with a close, yet unanimous decision at Barclays Center in Brooklyn. The fight was televised on CBS. Thurman (27-0) won by three scores of 115-113, which seemed to be the right call. Both fighters had outstanding moments. Thurman just seemed to have more. The action was terrific and could be in the mix for Fight of the Year, though we have still have six months left of 2016. There were no knockdowns, but both fighters were cut. The bout was originally to take place in March, but Thurman was in a car accident, in which he sustained whiplash. Sugar Ray Leonard and Thomas Hearns were in a few big fights of their own. The first of two they had against one another – in September 1981 outdoors at Caesars Palace – was a classic as Leonard came from behind to stop Hearns in the 14th round of their welterweight title fight. This Saturday’s welterweight title fight between champion Keith “One Time” Thurman and Shawn Porter at Barclays Center in Brooklyn (on CBS) isn’t as anticipated as Leonard-Hearns, but Leonard and Hearns themselves can’t wait to see it. Hearns intimated it could be an early exit for someone. Thurman, 27, is 26-0 with 22 knockouts. Porter, 27, is 26-1-1 with 16 knockouts. Keith “One Time” Thurman was supposed to defend his welterweight title against Shawn Porter on March 12, but Thurman was involved in a car accident that apparently was caused when Thurman’s new car began to hydroplane in wet conditions in his native Clearwater, Fla.
Thurman is healthy again, but he had to go about his rehabilitation for the whiplash he sustained in a careful manner. “It’s six weeks before I could go back to the gym,” said Thurman, who will tangle with Porter on June 25 in the main event at Barclays Center in Brooklyn (on CBS). “And then, we just had to take it (in) increments as far as recovering, as far as working hard. Abner Mares of Hawaiian Gardens was really looking forward to his challenge to featherweight world champion Jesus Cuellar of Argentina. They were to tangle June 25 at Barclays Center in Brooklyn on the undercard of the Keith Thurman-Shawn Porter welterweight title fight (on CBS). 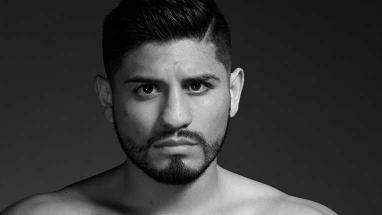 However, the bout was canceled Friday because Mares has an unspecified medical condition that will prevent him from fighting in the state of New York. DiBella Entertainment is the promoter for the Premier Boxing Champions presentation and it sent out a statement informing the media of the situation, while also making sure we knew that this medical condition is not life-threatening, nor does it have anything to do with performance-enhancing drugs. The main event between Thurman and Porter will go on as scheduled and the Mares-Cuellar TV spot will be taken by another fight. Mares has won titles in three weight classes.